Laser cutting machines offer considerable advantages in productivity, precision, part quality, material utilization and flexibility for precision CNC laser cutting of sheet metal. We currently operate two lasers, ranging from 1350 watts to 2500 watts, which gives us the ability to cut thicknesses up to 1/4" in aluminum, 1/2" in stainless steel and 5/8" in steel. 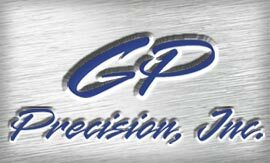 For more information send an inquiry directly to GP Precision Inc.